On October 7, 2008 we had the opportunity to attend a sales rally hosted by RE/MAX Realtors. The event was held in the newly minted Lucas Oil Stadium here in Indianapolis, IN. This was my first time in the new stadium and I must say that it is an incredibly impressive facility. If you get the chance I would highly recommend attending an event there. Reach your customer wherever they are. Greater Response Rate than traditional advertising channels. Strong viral reach with little or no additional cost. Why Mobile Marketing with Text Messaging? There are over 255 million mobile subscribers in the US. Over 50% of phone users regularly use SMS (text messaging). 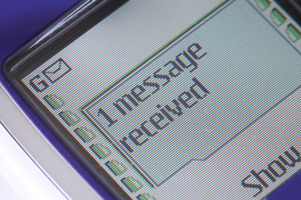 In June 2007, 28.8 Billion text messages were sent. This is 4 times the amount sent in June 2005. Voice messaging provides a quick, easy and cost effective way to engage your audience. We are pleased to announce Connective Mobile now offers advanced mobile and voice broadcasting services. Connective Mobile, an Indianapolis, IN based company, offers a range of services that meet the needs of many industries, including restaurant/retail, real estate, and event management/conferences. Our text offerings include mobile clubs (opt-in only groups of subscribers that receive regular messages), voting, polling, events and conference information, reminders and real estate. All of these products help you keep your consumers engaged and informed. 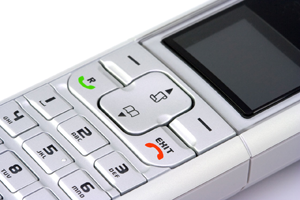 In addition to our text services we provide voice messaging capabilities. Our voice services include hosted Integrated Voice Response (a great application for real estate) and voice broadcasting. We adhere to the strictest policies regarding no-call lists and easy opt-out. All of our services provide advanced reporting functions that allow our clients to keep track of their mobile campaigns and provide in depth information about the campaign. We are very excited to be offering these services and look forward to helping our customers expand their marketing efforts with our cost effective, consumer focused approach. Keep checking back here for the latest news and updates regarding our products and company.